The RBC's here appear smaller than normal and have an increased zone of central pallor. This is indicative of a hypochromic (less hemoglobin in each RBC) and microcytic (smaller size of each RBC) anemia. 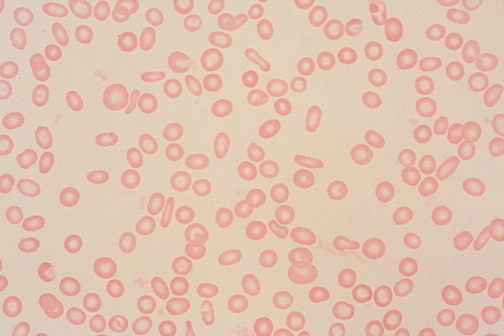 There is also increased anisocytosis (variation in RBC size) and poikilocytosis (variation in RBC shape). Which of the following nutrient deficiencies is most often associated with this appearance?